Buying for a teenager today can be hard. They're too old for toys, but electronics and other teen favorites can be quite expensive. But money is usually a much-appreciated gift. You don't have to just hand over a card with a few bills or a check in it. Instead, look for creative ways to give a teen money. It'll turn an otherwise non-eventful gift into a memorable experience. While you can easily tuck cash into a variety of items, be careful where you put it. If you get too creative—by hiding cash in the pocket of a piece of clothing you give to a teen for example—it might never get found. Even worse, if you put it inside a helium balloon, it might float off into space! Put money in a new wallet or inside of a purse: Or, consider giving money tucked in an engraved money clip. Then you can wrap your present and you'll be offering two gifts in one. Put the money inside of a book: Look for a motivational book (especially if it's a graduation gift) or look for a book about how to be financially savvy. Put the money inside of a keepsake box: Look for a decorative box that your teen will be able to keep for other things, such as storing other keepsakes. Create a money pizza: Take an empty pizza box and arrange money in the shape of a pizza. Top it with coins to look like pepperoni. Write something on the box or include a note that says, "Here's some dough." Give dollar diplomas: If you're giving money as a graduation gift, turn bills into diplomas. Roll individual bills tightly and then tie them with a small ribbon to look like miniature diplomas. Place them in a glass jar or mason jar. Decorate the top and you'll have a beautiful, yet festive, gift. Create Play-Doh dough: Place some cash inside of a Play-Doh container and write, "Here's some dough," at the top. Wrap it or place it in a gift back. 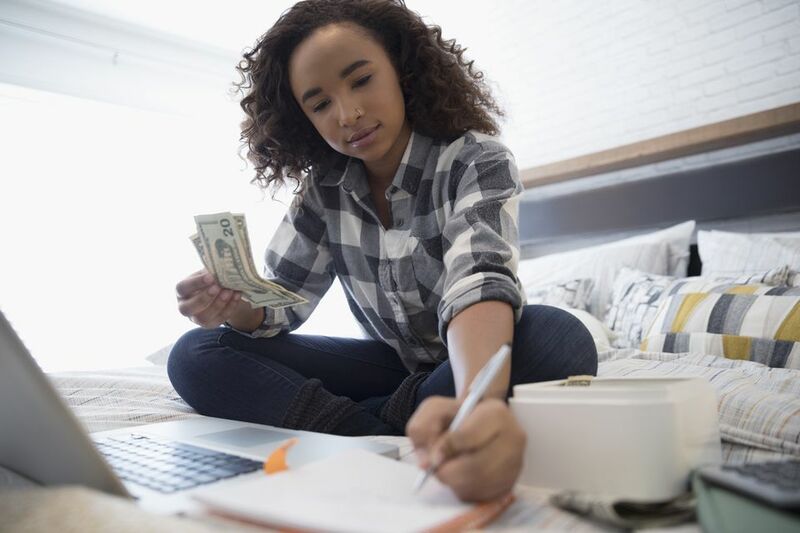 Send your teen on a money scavenger hunt: If you're looking for a way to give your teen an 'experience,' create a money scavenger hunt. Start by having your teen find a quarter, then a dollar, then a five dollar bill, until you've reached your final amount. Give your teen clues one at a time. Sometimes, people prefer to give gift cards to a teen's favorite store, restaurant, or entertainment facility. At other times, people prefer to buy prepaid credit cards for a teen. Sadly, billions of dollars of gift cards go unclaimed each year. Some of them are lost and others expire before they're ever able to be cashed, and some never get activated by the store in the first place, making them completely unusable by recipients who don't have the receipts.